Click on the drop down arrow to the right of questions to read answers. Hizb ut-Tahrir is a global Islamic political party established in 1953 by a group of scholars led by the Shaykh Taqiuddin an-Nabhani (rahimahullah). In the Muslim world, we work at all levels of society to bring the Muslims back to living an Islamic way of life under the shade of the Khilafah, which implements the Shariah of Allah. “Tahrir” means liberation and the name is indicative of our work, which entails liberating the Muslim world, intellectually first then politically, economically and in all other respects, from the subjugation of kufr and its people. In the West, Hizb ut-Tahrir works to cultivate a Muslim community that lives by Islam in thought and deed, preserving a strong Islamic identity and remaining connected to the global struggle of the Muslim Ummah as one Ummah. Whilst we do not work in the West to change the system of government, we do carry Islam intellectually as the only way of life mandated by the Creator, Allah (swt), and in turn as the solution to the malaise of secular liberalism which has led humanity for three centuries now and failed her miserably. For more see About Hizb ut-Tahrir. Why does Hizb ut-Tahrir describe itself as a “political party”? Unlike the secular tradition there is no dichotomy between religion and politics in Islam. In Islam, politics [siyasah] is to manage the societal affairs of people by the rules and principles revealed by Allah (swt), by proposing the Islamic solutions and working to implement them. Thus the objectives and actions of Hizb ut-Tahrir are political actions in this sense, and thus it is a political party. It should be understood here that whilst politics is a very unscrupulous practice in the west and around the world, this is because it is not based on Islam. Politics from an Islamic perspective is a noble work far removed from this. The noble Prophet (saw) describes it as the work of prophets in a hadith for essentially it is to manage the affairs of people according to the Deen. What is Hizb ut-Tahrir’s method to re-establish the Khilafah? Going out to society: taking the call of Islam openly and clearly to society; presenting Islam and critiquing kufr as well as its political leaders. Additionally, seeking material support (nusrah) from those with it. Assuming authority and implementing Islam radically and comprehensively. The noble Prophet (peace be upon him) limited his struggle in Makkah to the intellectual and political domains. He worked to mobilise public opinion in favour of Islam through calling individuals and society as a whole to Islam and endeavoured to sway the political and intellectual leaders of the time. He put forth the Islamic ideas and principles, calling on everyone to adopt them, and worked tirelessly to have them manifested in society through the implementation of Islam. We adhere closely to this method because it is obligatory to follow. Thus, we are proactive in disseminating the Islamic thoughts widely – through discussion with the masses, study circles, lectures, seminars, conferences, distribution, publishing books and magazines – in Muslim societies so as to challenge the existing status quo. We endeavour to present Islam correctly as a comprehensive way of life capable of managing the affairs of state and society. We also present analyses on political events from an Islamic perspective with the aim of adopting the interests of the Muslims and guiding them in difficult times, with a view also to centring Islam as the reference point in all our affairs. And we critique kufr thoughts and openly challenge those political leaders who rule by kufr and stand as obstacles in the way of Islam. Our methodology is explained in further detail and with evidences from the Qur’an and Sunnah in the book “The Methodology of Hizb ut-Tahrir for Change” and “The Method To Re-establish Khilafah” (click on these links to download or read). A top-down approach won’t work, will it? Our methodology may seem top-down because it focuses on correcting the ‘top’ (i.e. the State) but in reality the method to correct the ‘top’ begins on the ground (the ‘bottom’). There can be no Islamic State without the deep Islamic culturing of individuals and with the public opinion of the masses being for Islam. Achieving these two things requires extensive work on the ground and this occupies the majority of our time and efforts. If indeed we adopted a top-down approach then sixty years is not a short amount of time to select an individual and declare him as Khalifah. Rather, Hizb ut-Tahrir has been working for the last sixty years in culturing the Ummah and preparing it toward the establishment of the Khilafah. Why operate in the West if your aim is to establish Khilafah in the Muslim World? The age-old struggle between Iman and kufr is a global struggle. It is not limited by borders or geography. Further, the Muslim Ummah is one ummah and her core struggle is one, wherever she resides. Hence, work in the West is important by mere virtue of the fact that Muslims live here and increasingly in large numbers. There are many things that Muslims living in the West can do to aid the work for Khilafah in the Muslim World. We live in a global world where the flow of everything across borders, including (importantly) information, ideas, opinion and people, occurs at unprecedented levels and speed. Affecting public opinion is at the core of any political work. Any work done in the West inevitably has influence in the Muslim World. This is over and above the fact that the major obstacle in the Muslim lands to the establishment of Islam is the rulers of those lands who guard the systems of kufr which they implement. Yet the true masters of these agents rulers have their offices in Washington and London. Thus it is Western governments who seek to maintain the appalling status quo in the Muslim world because they benefit from it the most. Why doesn’t Hizb ut Tahrir build institutions or engage in Jihad to establish the Khilafah? The short answer to this question is that the noble Prophet (peace be upon him) did not do so. That is, he (peace be upon him) did not use fighting or building institutions in Makkah as a means of establishing the Deen. This is indisputably clear from the Seerah. Rather, he engaged in a clear and open intellectual struggle (against the false ideas, concepts and practices of the time) and political struggle (against those implementing and propping up the prevailing system). The longer answer is that the Prophetic methodology is based on the formation of a critical public consciousness which negates from all worldly entities (people, systems, ideas, customs) their falsely acquired properties attained through corrupt kufr ideas and derivative practices. This negation is followed, concurrently, with the affirmation of the haqq. This negation and affirmation is clear in the shahada of Islam: la ilaha illa Allahu. The key point here is that both the negation and affirmation is, in origin, of ideas and concepts and their derivative practices. Idol-formation is an intellectual process and idol-deconstruction requires a counter-intellectual process. Bullets cannot deconstruct an idea – only ideas can subvert other ideas. Methodologies which reduce action to that of armed insurrections and institution-building are inadequate in that they do not recognise the necessity of intellectual liberation and concomitant institutional transformation (as opposed to institutional-building, which is not anti-systemic), which itself must be preceded by a sustained critique of the dominant “mainstream” narratives which legitimize the kufri institutions. What has Hizb ut-Tahrir achieved in the 60 years of its existence since its inception in 1953? In the 1950s the Muslim Ummah found itself in the intellectual and political wilderness. There was no collective consciousness of Islam and Khilafah as an obligation and solution or of the reality of the Muslim rulers as colonial agents. Rather, calls and movements for nationalism, socialism and liberalism (albeit crudely ‘Islamified’ or couched in language palatable to Muslims) were mainstream and the relationship with many rulers – Nasser of Egypt being the most prominent case – was one of admiration. By the 1990s, all of this had dramatically changed. Islam and Khilafah were firmly in the public consciousness of the Muslim world and most other ideologies were abandoned. Politically, there was a clear wedge between rulers and ruled, with the rulers being known and hated as corrupt agents. None of this was mere coincidence. It was the result of years of hard work in consistently presenting Islam and critiquing kufr in an organised and sustained manner. The work of multiple Islamic movements, not exclusively of Hizb ut-Tahrir, though the Hizb has a strong distinction when it comes clarity of its thoughts and specifically the concept of Khilafah (as opposed to general, vague calls to Islam). In the following two decades, the above-mentioned changes have only become more pronounced. The opinion for the Khilafah in the Muslim world is widespread and the Hizb has managed, by grace of Allah (swt), to produce a vast network of hundreds of thousands across of the world dedicated to working for the establishment of Islam. The Ummah seems to be in a complete mess and no closer to Khilafah than 50 years ago, yet you claim otherwise? Societal change is not like building a house (as many people conceive it) where you see the foundations, then walls, etc. and eventually a ceiling. The core of the work prior to assuming power is of intangible results because it is related to ideas and public opinion. Hence, it is difficult for most people to appreciate the progress and anticipate the final change. They look to the tangible state of society and see only problems and despair. Consider the fact that even a mere few months before the noble Prophet’s (peace be upon him) Hijra to Madinah (where he assumed power) the situation of the Muslims in Makkah was, on the face of it, as dire as ever! His (peace be upon him) wife and uncle had passed away, the Muslims – who numbered no more than a few hundred – had been subject to a severe boycott, and many were being tortured and persecuted. Some were martyred. On the face of it, they were a small and weak group up against a mighty power. Yet a few months later they were leading a new state in Madinah. This is counter-intuitive, unless one appreciates the nature of radical societal change as discussed in above answers. Why is Hizb ut-Tahrir banned in many countries? Hizb ut-Tahrir is at the forefront of political activism in the Muslim world. It challenges and calls to account the tyrannical rulers of the Muslim world. The response of these regimes to our work has been to imprison, torture and murder our members – the same response received by all prophets and their followers when they sought to propagate and implement the Deen of Allah. While our challenge to these regimes has been at an intellectual and political level, these regimes have resorted to banning and silencing the party, as they have no intellectual thought of their own with which to counter, as with all oppressive forces. Despite the banning of the party and the intimidation of its members, the thoughts of the party have nevertheless successfully permeated throughout society, by the unbounded grace of Allah first and then by the great sacrifices of countless Muslim men and women, old and young, scholar and lay person alike. Who and where is the leader of Hizb ut-Tahrir? The current global leader of Hizb ut-Tahrir is the erudite scholar, author and activist Shaykh ‘Ata ibn Khalil Abu Rashta, may Allah preserve him. He resides in and works from the Muslim world. His profile can be read here: Profile of Ameer. Due to security reasons and the extreme persecution faced by our members in the Muslim world, we do not aid the oppressive regimes by revealing the precise whereabouts of the party leadership. 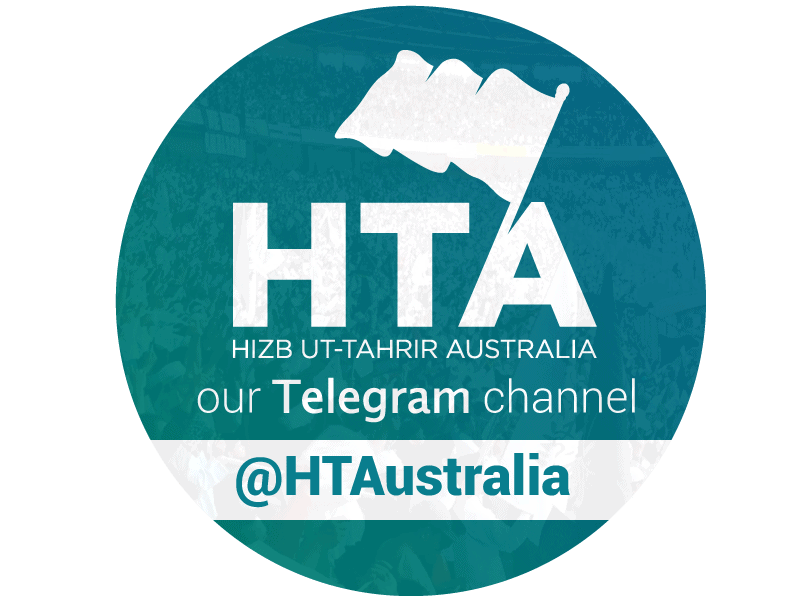 Do you have a question about Hizb ut-Tahrir you would like answered? Send it to info@hizb-australia.org.